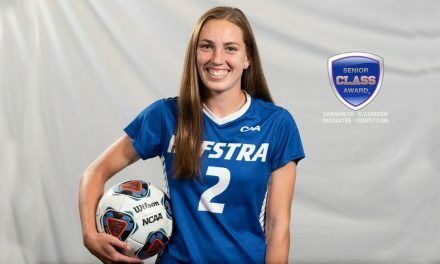 HEMPSTEAD, N.Y. – Hofstra University women’s head soccer coach Simon Riddiough announced Moday that Kelsey Yam has been named an assistant coach. Yam comes to Hofstra by way of Clarkson University. where she served as the head coach of the Golden Knights for the past three seasons. She posted 18 wins at the school, including eight in 2017, which marked an improvement by three from a year prior. In her second season at the helm, Yam was named the 2017 Liberty League coach of the year as Clarkson advanced to the league tournament for the first time in program history. Yam mentored six All-Liberty League players, including Camryn Careccia, who became the first Clarkson women’s soccer player to earn all-region honors for the first time since 1995. She also had several student-athletes named to the Liberty League Academic All-Conference team a combined 33 times. Prior to taking over at Clarkson in May 2016, Yam served as an assistant coach at Vassar College, helping the Brewers to their second Liberty League tournament appearance in five years. Yam’s first professional coaching experience also came at Clarkson, as she was the team’s top assistant for two years, helping guide the team to 11 wins along with its best conference finish in two decades in 2014. A native of Longmeadow, Mass., Yam graduated from Skidmore College with a degree in Management & Business and a minor in Mathematics in 2013 prior to earning her MBA from Clarkson in May 2015. She played for four seasons with the Thoroughbreds, gaining all-conference status on three occasions while leading her team to a pair of NCAA tournament appearances (2009 and 2011). A midfielder and forward, Yam scored 15 goals and added eight assists for 38 points in 73 games, including 69 starts. She was a Liberty League first-team selection as a sophomore and junior, gaining NSCAA Division III All-East honors in 2011 and was chosen as a Liberty League second-team selection in 2012. After graduation, Yam competed semi-professionally for the Albany Alleycats SC and Seacoast United Premier SC, who perform in the Women’s Premier Soccer League. Yam served as the head coach for the Under-16 FC Freeze in Canton and an assistant coach for the U-18 Black Watch Premier Soccer in Albany. She also participated with the Soccer Without Borders program in Uganda in the summer of 2012, in which she coordinated and coached soccer and English class sessions for nearly 100 refugee children.